As This Feeling follows up a memorable Y Not Festival by announcing new artists including Liverpool’s The Jackobins at Leeds Festival, Getintothis’ Jake Marley reveals the lineup. Underground champions This Feeling have followed up a hugely memorable weekend at Y Not Festival by announcing a groundbreaking stage partnership with Jack Daniel’s at Leeds Festival later this month. 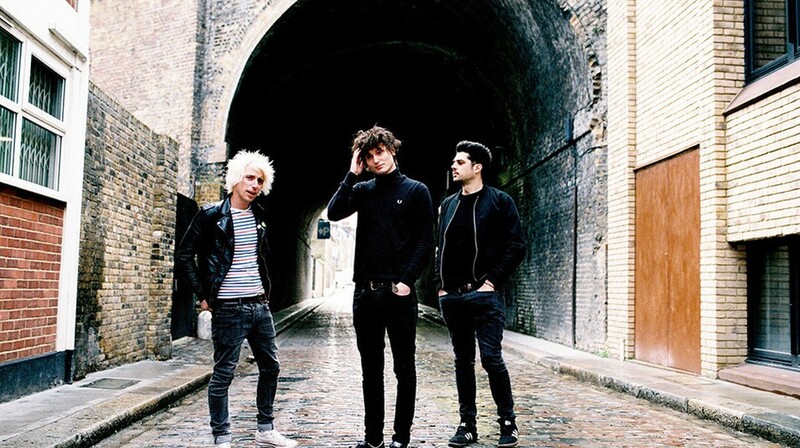 The stage headlined by Trampolene, Baby Strange and Broken Hands will run across the festival weekend of August 28-30 and features a lineup exclusive to Leeds festival. Trampolene boast one of the countries best young songwriters in Jack Jones and recently released their fantastic new pocket album The Gangway following a sweat-ridden set in the Jack Rocks tent last month, fellow headliners Broken Hands and Baby Strange also return having gone down a storm at Y Not Festival. Liverpool’s The Jackobins continue their meteoric rise with a place on the lineup having delivered one of the performances of the weekend at Y Not Festival last month and are joined by London’s adopted Liverpool sons JUDAS, as well as Sheffield’s Bang Bang Romeo who are hot property right now. Meanwhile Manchester’s ever growing scene is heavily showcased by hugely exciting and rather sweaty live bands Cabbage and Cupids. In the main This Feeling’s motto appears to be if it’s not broken don’t fix it, up the ante. Adding more bands to their critically acclaimed tent last month. Within the new additions, fresh from supporting chart-toppers Blossoms at their album launch shows are fast-rising Dantevilles who join the fun alongside Leeds band The Strawberries who played Liverpool’s Cavern Club earlier this year. One thing’s for sure, if you didn’t know already. This is the place to be come August bank holiday weekend, it’s going to go off. 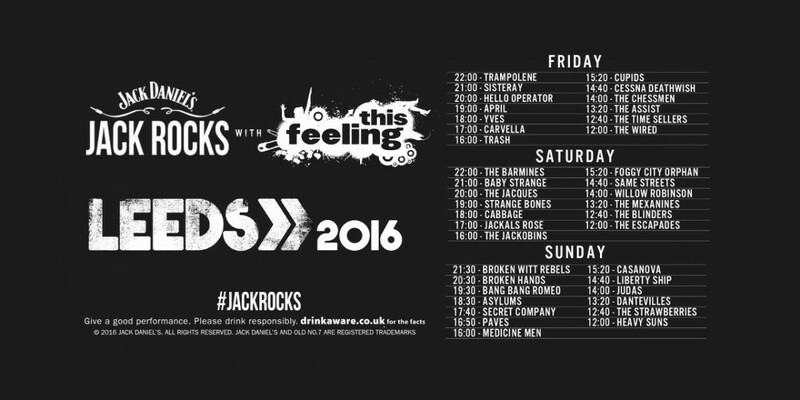 Full stage times for Jack Rocks’ This Feeling at Leeds Festival can be viewed below in addition to a playlist of all bands playing the stage August 28-30.